What’s Included in the Business Manual? 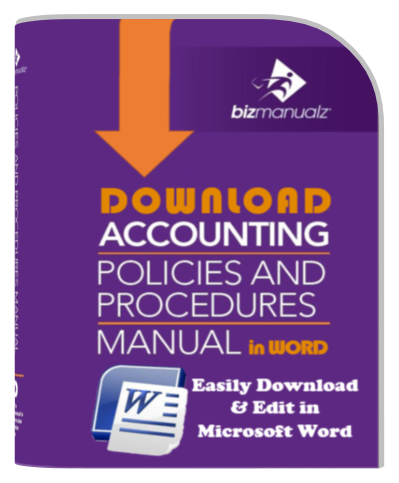 Next, 837 pages that include 110 prewritten Business procedures, 129 Business forms and corresponding activities–organized within five sections. 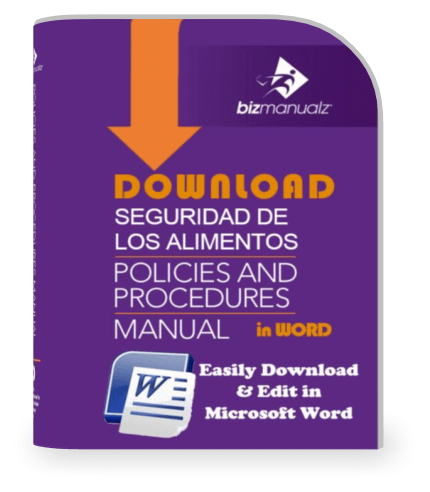 All are downloadable as Microsoft® Word documents, these Business policies and procedures template files can be customized to work for your company. The Business Manual also includes 50 pages with 12 Business Job Descriptions covering the primary functions within the Business Department. A 12 page training guide explains the basics of using Business procedure templates. Use as a training guide for Business personnel. 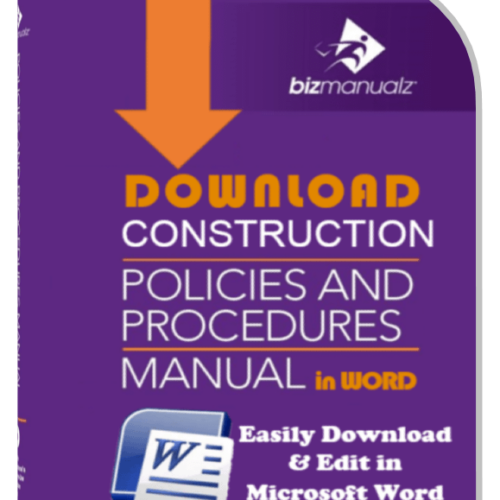 A 42 page Procedure writing guide provides guidance to develop and implement your company’s Business Policies and Procedures manual. Easily find what you are looking for inside the Business Manual using the 28 page Keyword Index. Every company needs an office policy manual of some kind. 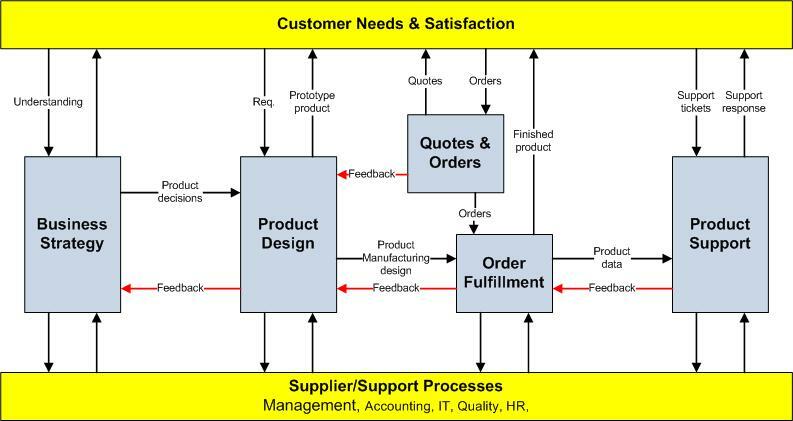 Everyday issues arise within the workflow of your business processes that requires a consistent methodology. A repeatable response that ensures that every customer is treated fairly, efficiently, and the way you want them to be treated within the framework of your company philosophy, mission and vision – right? That is the purpose of your office policy manual. 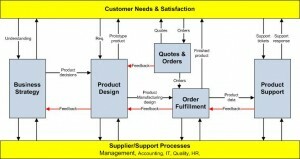 Your customers appreciate your great business processes for customer service, responsive sales, and support. But what does that mean? Do you answer the phone within one ring or two? Are employees properly trained to answer customer questions correctly, the first time? Do you respond to customer complaints quickly with quick fixes, replacements, or refunds? 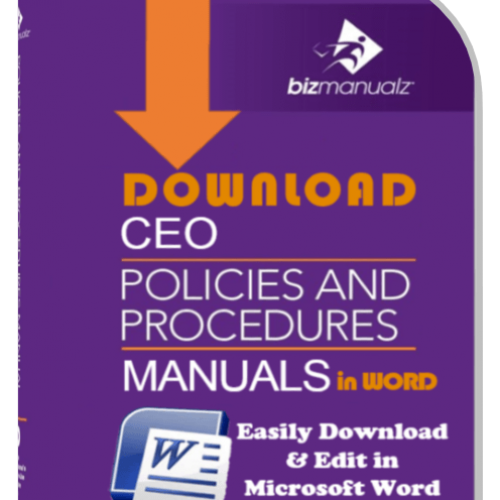 Defining employee standards, communicating regulations, and explaining your business processes are easily accomplished through your office policy manual. 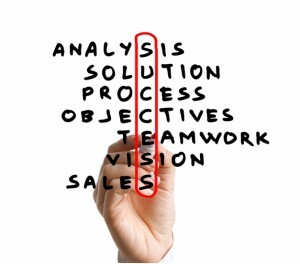 Your employees will learn to rely upon it as their business guide. It will become their employee handbook that guides them to make better decisions. Get started right now. Stop searching for office policy samples. 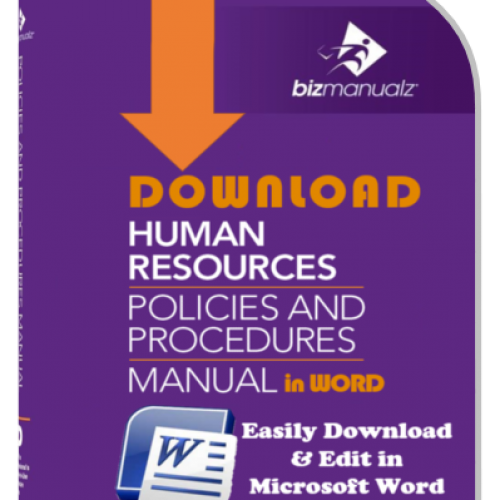 Bizmanualz has sample human resources checklists, workplace policies and procedures, example business forms, and other HR tools to help you to quickly create your recipes for success — your Business Policies and Procedures Manual. Download free sample policies and procedures templates to get started right away. 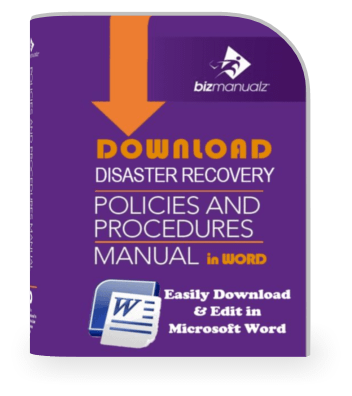 Browse through each of the department manuals and decide which one will help your organization succeed. Then order the business policies and procedures manual that is right for you. 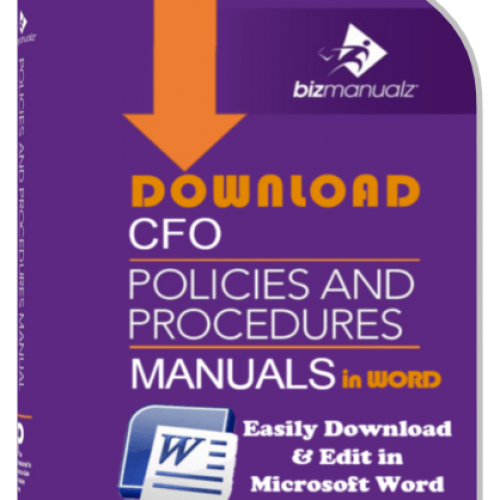 Your Business Policies and Procedures Manual is critical to the success of your organization. In fact, it contains your recipes for success. If you want your business to grow and become successful, then you will have to hire more employees, agents, or workers. Each employee will need to understand what recipes you want them to use that makes your customers happy with your business. Without the same recipe, your product (or service) would change, daily, with each new encounter your customers have with each new employee. 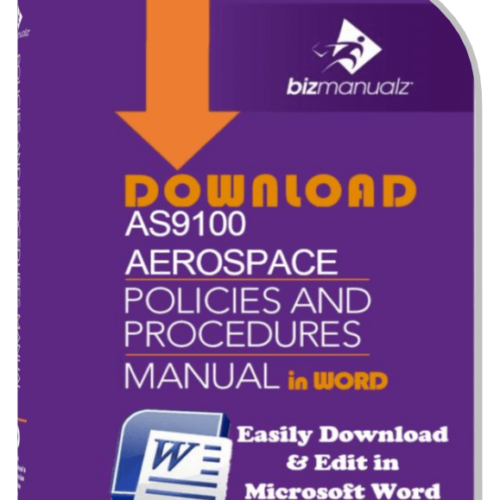 Quickly develop your company policies and procedures manual for multiple areas of your business with the business Policies, Procedures and Forms manual. It includes sample office procedures for virtually every segment of your business from design to shipping. No other product available today can help you create company best practices for so many areas of your operation. Why start from scratch when you can use prewritten, fully editable, Microsoft Word templates created by experienced technical writers and reviewed by business experts. By using the company Procedures Bundle as your starting point, you will save hundreds of hours researching, writing and developing your office policies and procedures for your business. This downloadable product will help you quickly and easily put in place the office systems you need to ensure consistency, increase productivity, and improve employee satisfaction. No other business procedures product on the marketplace provides so many company policy and procedures covering so many different departments of your business. Normally, to get company practices covering so many different departments, you would have to spend thousands of dollars on multiple products. Now you can get it all in one product and at significant savings. Hundreds of CEOs, Owners, Executives, and Managers have already realized improvement by taking advantage of these prewritten business policies and procedures. Well written policies and procedures improve performance by establishing clear guidelines, setting objectives, and communicating organizational knowledge. 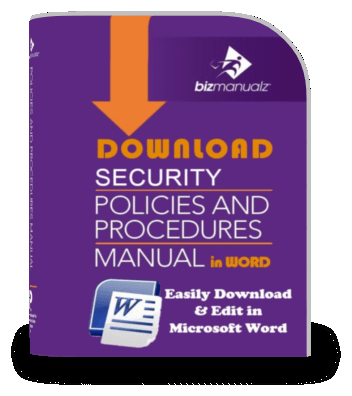 With Bizmanualz Business Policies, Procedures, and Forms you get all of the most common company policies and procedures you need to run any business operation. 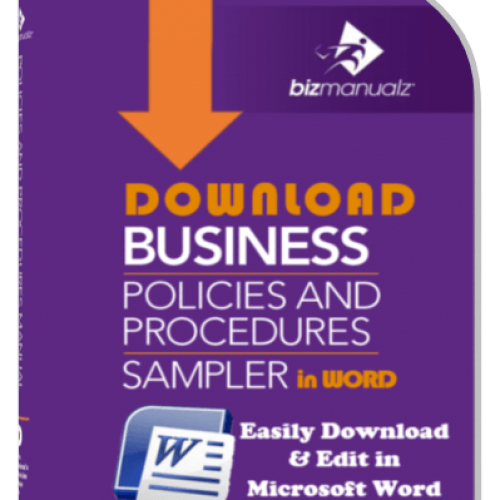 When you purchase the Business Sampler Policies, Procedures, and Forms manual, you get over 1,000 pages of content in easily editable Microsoft Word format via download. You can edit, change, and adapt the business procedures we’ve written to fit the particular needs of your organization. 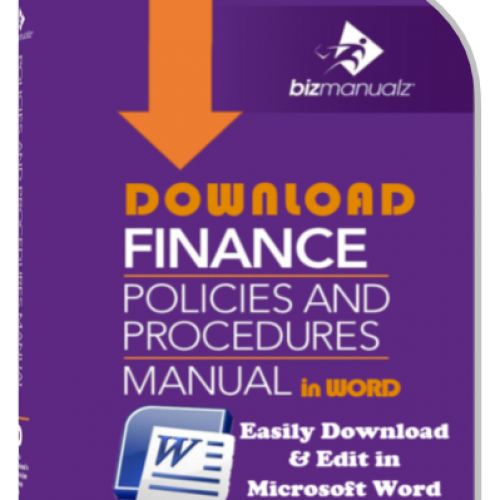 You can view a sample Office policy and procedure with no obligation. Or if you are ready to purchase, you can buy now using our secure server and your manual will be available for immediate download. Take advantage of our money-back guarantee and buy the Office Policies, Procedures and Forms manual risk free! We needed best practices and Bizmanualz was recommended to be a great resource. It has indeed been very helpful. 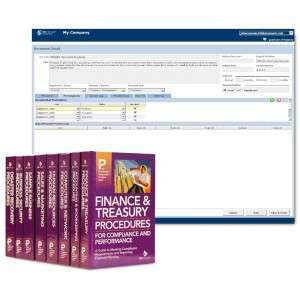 It has been easy using the CD ROM documents to modify policies for Accounting, Administration, HR and Safety issues. I would recommend it to others. The price is right. The products purchased have been very helpful thus far. We, as a company, have began to experience above average growth and we need procedures and policies to help streamline that transition. 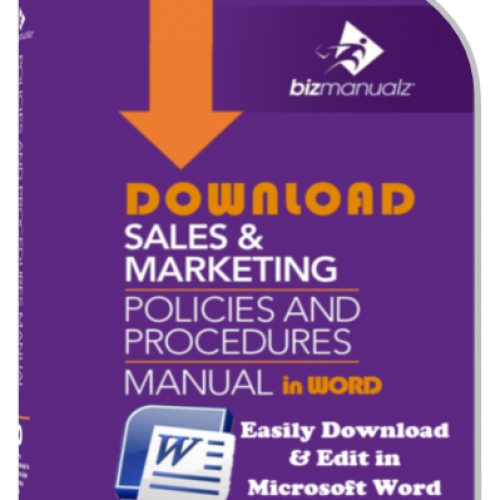 The Business Sampler Manual has been a great asset that has been utilized to the fullest. Very satisfied. The manuals give us a tremendous head start in completing our own manuals. The package provided me with a good portion of the information for me to develop some basic direction and control documentation for our new company. I will continue to expand and refine the information but this gave me a great start. We recently bought the manual and found out that the policy part is not detailed enough. Some mix found between policies and their respective procedures. Also we haven’t found any KPI’s written to measure those procedures. Other than that it is a good reference for any professional policy writer. So far they are quite easy to work with and are serving their purpose. I do not have any complaints at this time. The Business Sampler provides a good starting point for the development of our Policies & Procedures Manual. Some of the Policies & Procedures aren’t applicable to our line of business while other content is lacking, but this is part of the package deal. The Policies & Procedures need to be customized and localized, but having a proper framework and editable templates makes the work a lot easier. The Sample Business Procedure manual is very well designed and can work for most organizations without having to do major tweaks.